The Rebel Sweetheart. : Wordless Wednesday #55 | Happy Chuseok! It's that time of the year again! 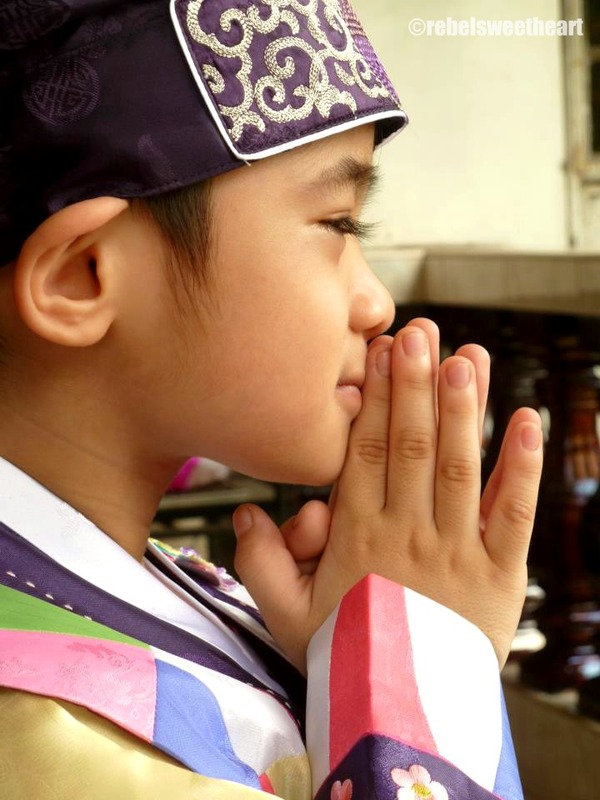 It's Chuseok (추석) - Thanksgiving Day in Korea, and the most important holiday in the Land of the Morning Calm. Chuseok falls on September 19 this year, but the holiday is actually observed for three days (September 18-20). We're joining in the festivities by letting the little man wear his hanbok - the traditional Korean clothes. Happy Thanksgiving! 추석 잘 보내세요! Wishing you a happy holiday! Thanks for sharing your pictures! He is adorable! Happy Thanksgiving to you and your family too. may you always find time to be grateful each and everyday. Have a wonderful and happy Thanksgiving. Your son looks so happy to be wearing the traditional outfit! Be thankful for your loving and happy family. Adorable pictures, and Happy Thanksgiving to you and yours! Happy Thanksgiving. The clothes are absolutely gorgeous. Thanks for sharing a piece of your culture. 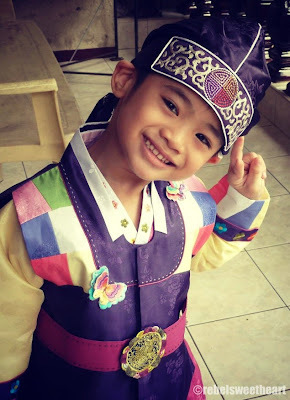 Your little man is really cute with his Traditional Korean Outfit. My wishes for a Happy Chuseok! My guess is that you don't celebrate it with turkey, right? Happy Thanksgiving! Your son is adorable! Oh my God! He is so cute. and looks like a Korean ^_^ fighting! He is adorable! I love the bright colors of his hanbok. Very festive! Big thanks to everyone who linked up!